With the increasing efforts for controlling SO2 emission from heat-engine plant, the major thermal power plants pay more and more attention to the desulfurization system. How to select the appropriate desulfurization process and equipment has become the primary concern of the purchasers of power plant equipment. At present, limestone-gypsum flue gas wet desulfurization, flue gas circulating fluidized bed, water film dust and desulfurization are commonly used in desulfurization process. Wet limestone-gypsum desulfurization is a mature technology used worldwide. This process needs special absorber, conveyor, mist remover, heat exchanger and so on. Usually it needs desulfurization grinding mill. Liming Heavy Industry desulfurization grinding mill is certified by EU CE certification, and it can enter the EU market directly. Desulfurization trapezium grinding mill adopts trapezoidal device, which delays material falling speed and increases grinding time and greatly improves the capacity. Desulfurization vertical grinding mill is equipped with automatic control device, which can realize remote control and is easy to operate. Desulfurization European type grinding mill adopts curved duct with smooth tangential air inlet and small resistance. The direction of internal outlet is conducive to material dispersion and is not easy to plug. 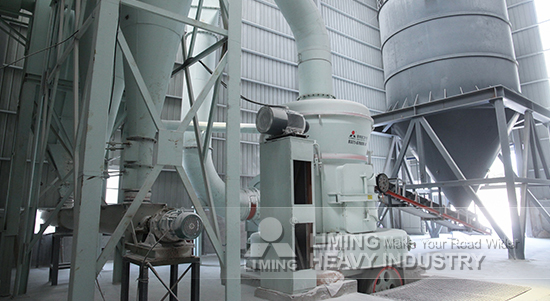 Desulfurization Raymond grinding mill has automatic control device, which can realize remote control and easy to operate. A new type of supercharger is used in the grinding mill, which makes the operation of the equipment more stable and efficient. For more consultation on desulfurization grinding mill, please contact our customer service personnel.